The nation’s largest and longest-running Shakespeare Festival by and for young people returns May 9-19 at Commonwealth Theatre Center. 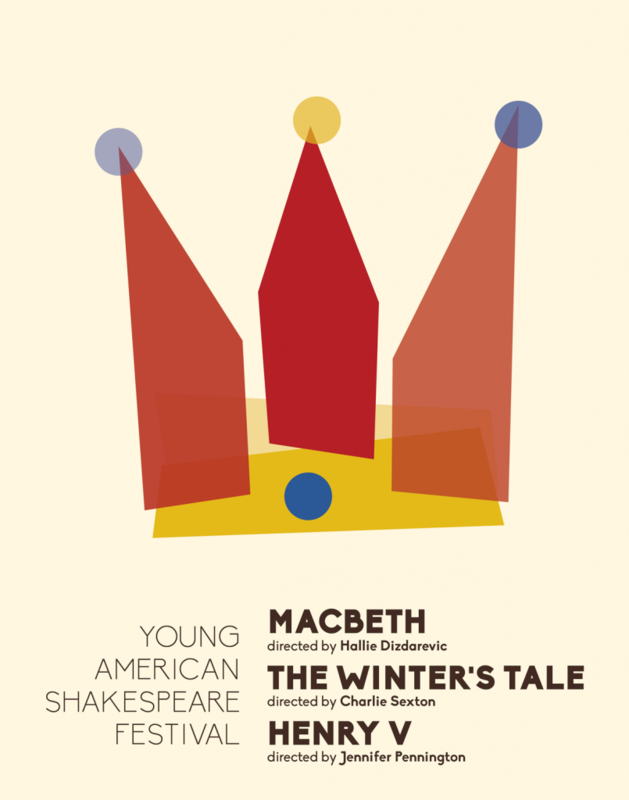 Three plays, three kings, three fresh looks at familiar stories and characters – all brought to the stage by CTC’s talented directors and featuring casts of young actors drawn from the nationally acclaimed Walden Theatre Conservatory. Power comes at a steep price as Macbeth’s tyranny and paranoia leave allies dead or fleeing for their lives, and even his wife succumbs to madness in this bloody and tragic fall of a once brave leader. The production delivers a post-apocalyptic vision for this unforgettable classic, including a haunting, eerie underscore provided by the ensemble of actors. Driven mad by a suspected infidelity between his wife and a lifelong friend, a king makes disastrous choices that strip him of everything he holds dear. But destiny (and possibly magic) offers a chance for forgiveness in this wild storybook of a play thanks to a pursuing bear, a shepherd’s discovery, and a pair of lovers’ determination to be together. The king grows to respect the demands of rule, even while requiring the ultimate sacrifice from an army fighting to unite the lineages of England and France. This moving production, featuring an entirely female-identifying cast working alongside members of Nevertheless Arts Ensemble, brings new heart and perspectives to the play’s themes of valor and heroism. Ticket prices are the same online or in person at the door. Evening shows are $15 for adults and $10 for students and seniors for all shows. House opens 30 minutes before curtain and seating is general admission. Marathon tickets are available to see all three plays on May 19 for $25. For sold out shows, reserved tickets will be released to those on standby five minutes before the show starts. Box office opens 1 hour before curtain, with house opening 30 minutes before curtain. Parking is on-street (parallel, no meters) or in the lot at the rear of the theatre.